The Fountain Of Knowledge is an exclusive new Montessori Nursery School providing premier quality full-day and sessional care for children aged between two and five years. Our aim is to provide the highest standards of pre-school education, which develops each child’s social, emotional and intellectual well-being within a friendly and safe "prepared environment". The prepared environment is one in which the child can develop naturally, at his/her own pace, and to become as independent as possible. At all times the child is encouraged to develop to their true potential. 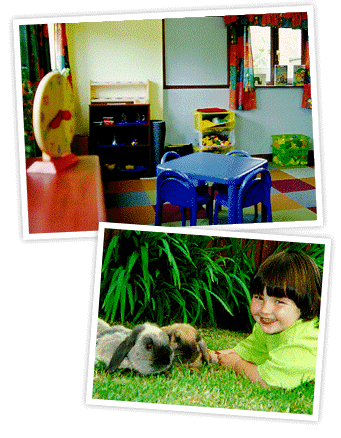 Serving Bugbrooke, and the surrounding villages, our Montessori is conveniently situated with easy access from both the A45 and A5 trunk roads. The school is located approximately six miles from Daventry and Towcester and is approximately three miles from both junctions 15A and 16 of the M1 motorway. The Fountain Of Knowledge employs Montessori qualified teachers & NNEB trained carers and is unique in that a fully qualified Enrolled Nurse, catering for any special needs, is a full-time member of the teaching team. Our educational advisor (former head of an infant school) will liaise with local primary schools to ensure that continuity of education can occur whichever school the child may eventually attend.